With the 4th of July Holiday approaching in the next few days, my thoughts are taking me back to 1985. That year, I spent 30 days patrolling the West German border as a young infantry officer on my first assignment. After that experience, I would never look at the 4th of July, the holiday, and all it stands for the same way. The “Cold War” was still very much alive in Europe. German reunification and democratic reforms were only a few years away, but in the spring of 1985, walls and fences separated two different ways of life; one of freedom and one of oppression. When I reported for duty, my company began preparing to conduct a “border augmentation mission”. A “border augmentation mission” was an operation designed for an infantry company to relieve a unit already in place patrolling the border. These missions were standard operations designed to allow the unit being relieved the opportunity to conduct training, participate in gunnery exercises and to give them some time off of the border. The unit we were relieving was part of the 2nd ACR (Armored Cavalry Regiment). 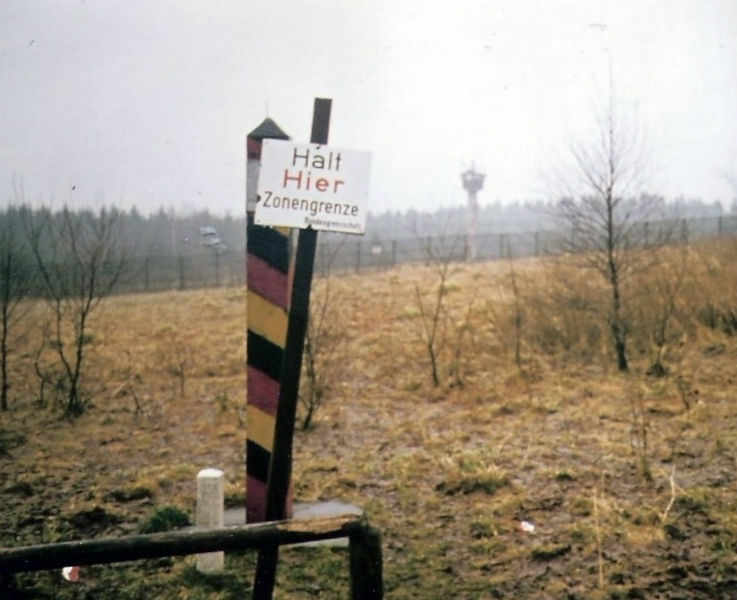 Their base of operations was Camp Hof, a U.S. Army post situated opposite the East German and Czechoslovakian border. This would be the new duty station of A Co. 1st BN 7th Infantry for the next 30 days. I traveled with the advanced party to Camp Hof to become familiar with the operations and coordinate the hand-off from the cavalry unit. As the newest officer to the company, I was being closely mentored by my Company Commander. We were conducting a border trace with our hosts when I caught my first glimpse of the border and the “fence”. I had seen pictures about it, I had read and studied about it, but to actually see the border and the physical separation of a land and a people was sobering. As our unit assumed the mission and began running operations, my duties included leading patrols and working in the TOC (Tactical Operations Center) monitoring patrol activity. There are three memories of that border mission that remain vivid in my thoughts after all these years. 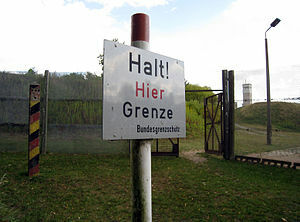 The first was of a patrol I was leading in a sector where several East German civilians were working outside the fence near the actual border. The actual border was marked by “barber pole” posts placed at certain intervals along the agreed upon border. 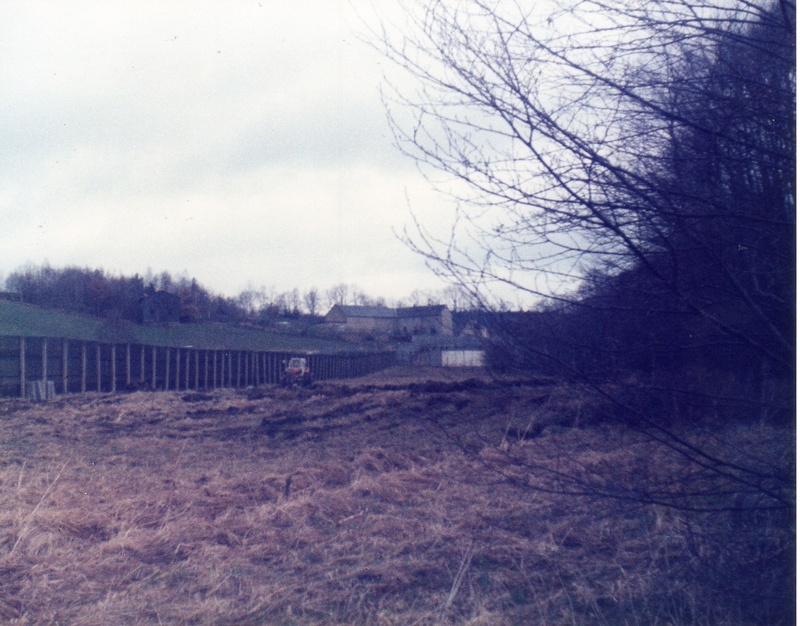 The fence and obstacles were placed many yards within the East German side. As our patrol neared their work site, we stood feet away from our East German counterparts. 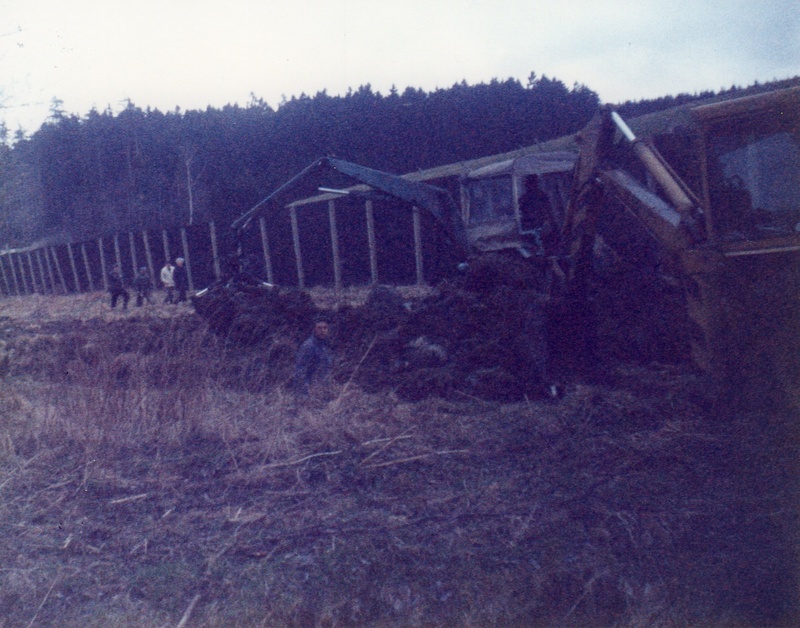 With their weapons slung over their shoulders , the East German soldiers stood guard over the workers as they used their picks and shovels on a ditch. We were standing so close that I could plainly see the face of one of the workers shoveling in the ditch. An older gentleman, his blue eyes and haggard face told a story of resignation and despair. I will never forget his expression. The second memory illustrated the seriousness of our mission and the consequences of failing to follow standards and procedures. I was on duty in the TOC one day monitoring mission activity and patrol operations, when we were informed of a potential “border incident” by a higher headquarters. My commander was immediately summoned to the incident area and upon investigation, subsequently relieved the Lieutenant in charge of the patrol. My commander radioed into the TOC and ordered me to relieve the Lieutenant and assume command of the patrol and continue the mission. I learned from my commander that operational protocols had been breached and the potential for a serious “border incident’ was possible. Border incidents had the potential to create diplomatic and political issues. My third memory and perhaps the most significant in terms of my appreciation of freedom occurred on a night patrol. The sector we were patrolling that evening was home to a small town that had been literally split in half by the delineation of the border. The illustration could not have been starker of the difference between freedom and oppression. A wall physically separated the town in half. As I stood at an observation post, I looked over my shoulder at the West German part of the town. The West German part was illuminated and bright. The streets were clean and there was activity in the town. Looking the other way across the wall, the East German part of the town was dark and dirty. The town appeared static and motionless. The Western side of the town was vibrant and alive; the Eastern side was stale and dead. At that moment, I gained a real world vision of what freedom means and what is possible for man in a free society. A few years later, the walls and fences would come down. Freedom would spread like wildfire over the former Eastern bloc of communist countries. I sometimes wonder what the other side of that town looks like today. I envision bright street lights and a seamless transition from one side of town into the other. Today, the German people celebrate Unity Day on October 3rd. It is a national holiday. East Germans joined West Germans in freedom and became one people again. Looking over a fence in Germany nearly 30 years ago, I found fresh significance in our country’s own independence and freedom. I learned that what we have is a precious gift. A miracle of freedom realized and brought to life by our founding fathers. It must be refreshed and fought for eternally to preserve its meaning. As we celebrate Independence Day on the 4th of July with fireworks, cookouts and parades, let us be thankful for the freedom it represents and remember always the sacrifices that were made to preserve it.